From famous offspring to miniature royals, we love checking out celebrity kids’ style here at schuh. The tiny style Mavericks always impress us with their looks – not to mention the events they wear them too – and now with our schuh matches, you can get your little one kitted out in the coolest of footwear too. Ever dreamt of sitting front row at Givenchy’s runway shoe during Paris Fashion Week? Don’t get too jelly, but one-year-old North West already has. And she also pulled off an adorably chic outfit to match her Mummy’s; completing with a pair of black Dr Martens Brooklee Patent boots. It can be a struggle for the best of us to put together a really cool gym outfit, but we guess with fashionista Victoria Beckham as your personal stylist, you’re in with a good shout. Harper Beckham tucks into some yummy ice-cream after some playtime with her daddy David Beckham, completing her look with a pair of pink and black adidas ZX Flux trainers. Next up we have some adorable accessory style syncing between Hayden Panettiere and her little daughter Kaya Evdokia Klitschko. 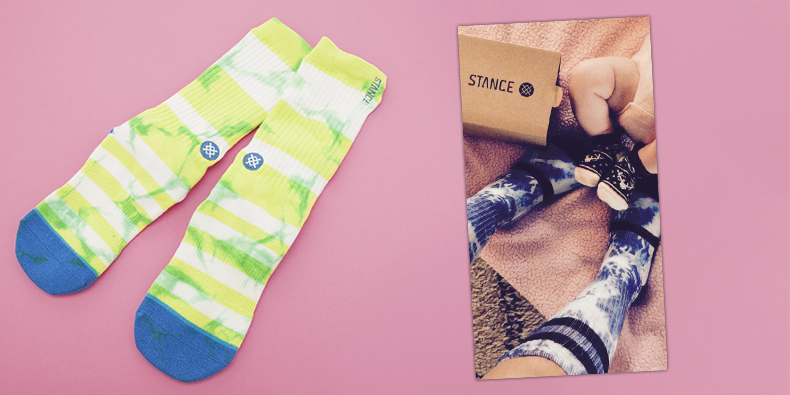 The actress took to Instagram to shout-out how much she loved her and Kaya’s new socks from STANCE. Whilst we don’t stock them in those teenie tiny sizes, we do have some excellent older kids’ styles along with adult’s sizes, so you can still play the matching game*. * Please note we take no responsibility for your embarrassed pre-teen throwing a strop at this. Finally we have singer Ciara’s little boy Future Wilburn rocking the double denim look through Los Angeles International Airport. Ciara kept it mono in a pair of Converse All Star Oxfords, whilst cute-as-a-button Future finished his look in a pair of Timberland Groveton 6 Inch boots. Shop the rest of our kids range now, and treat your little stars.